With so many problems facing engineers and astronauts, it sometimes seems like this whole cosmic exploration thing really isn’t worth it. Fortunately, pro scientists and amateurs alike are putting their heads together to solve even the most challenging issues, often with enormous implications for the future of mankind. As the Philae lander recently proved, landing on a comet is exceptionally tricky. Navigating across the surface of a comet? That’s a whole new problem. On a cosmic scale, comets are pebbles at best, and their paltry gravity doesn’t usually allow for terrestrial activities like moving around. A hearty sneeze could push one into orbit, and even wheels are rendered useless, making rovers unfeasible for comet exploration. Instead, NASA has revealed concepts for a smaller probe which can roll or launch itself in the low-gravity conditions. The Hedgehog robots, as they’re whimsically called, are basically cubes with spikes fastened at each corner. These spikes not only protect the delicate scientific instruments within but also act as feet, using internal flywheels to launch the Hedgehog across the comet. When finesse is required, the Hedgehog can roll itself like a tumbleweed over smaller distances. The robots have already passed several microgravity tests aboard NASA’s C-9 aircraft and have proved themselves equally adept in a variety of simulated terrains. The Hedgehogs are also easy on NASA’s coffers, costing much less than pretty much anything that’s ever landed on a foreign body. And the best part? Watching the Hedgehog perform the “Tornado,” a spastic movement used to extricate the ‘Hog from sticky situations. Getting supplies to astronauts in deep space is close to impossible, so the solution is to look for a closer source—the astronauts themselves. NASA has recently awarded Clemons University $200,000 to perfect a method of deriving plastics and nutrition from urine and exhaled CO2. Chemical and bioengineering professor Mark Blenner wants to use a combination of yeast and algae to create an inexhaustible source of supplies, including Omega-3 fatty acids, to keep astronauts’ brains healthy. 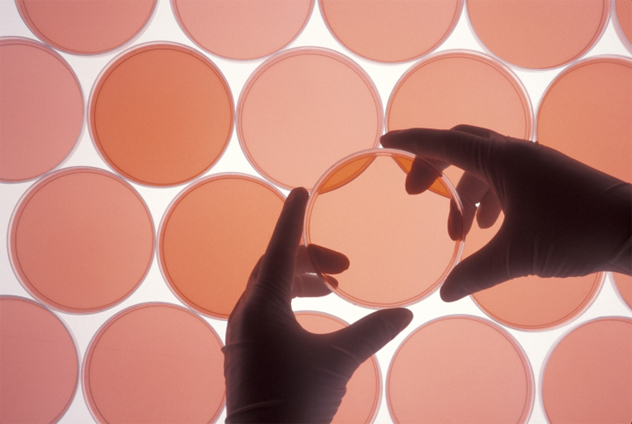 Yeast is a miraculous organism and can be altered to produce all sorts of useful compounds up to and including plastic polymers, which can be woven into tools in situ, savings tons of dough in launch costs. But to keep the yeast happy, one needs plentiful nitrogen and lipids. Luckily, nitrogen is abundant in urine and readily supplied whenever nature calls. Procuring the delicious lipids is a more laborious prospect. Certain types of algae can manufacture these fatty substances out of carbon, which is itself extracted from the CO2 in the astronauts’ exhalations. Inattentive teenage drivers and the morbidly obese aren’t the only ones to incur outrageous insurance premiums. As the bubble of space around Earth fills with trash, the danger to satellites increases and insurance rates skyrocket. To attenuate the risk from hypersonic trash bullets, the cleanest country in the world, Switzerland, is sending up a robotic janitor. CleanSpace One is the name given to a prototypical line of custodial satellites tasked with sucking up the half-million pieces of crud mucking up Earth’s uppermost reaches. After rendezvousing with a derelict chunk of space equipment at speeds approaching 29,000 kilometers per hour (18,000 mph), the CleanSpace One unit will grab hold with its mechanical arm and dispose of it in the most metal way possible: It will plunge to Earth, disintegrating both itself and the offending refuse in the process. If all goes according to plan, expect to see these bad boys plying the orbital lanes by 2020. Asteroid impacts could prove fatal to humanity, and our best minds have been recruited to figure out how to deflect a doomsday scenario. Obvious solutions include melting the sucker with a heat ray or blasting it to nuclear smithereens, but Sung Wook Paek has a novel idea—paintballs. Possibly formulated after a few beers, Paek’s method involves firing a salvo of paintballs at the offending asteroid, coating it with a layer of paint and changing its albedo, or reflective index. 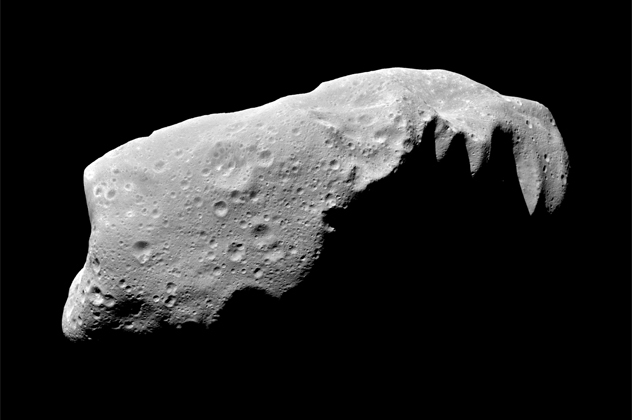 A darker asteroid absorbs more heat, melts, and undergoes a change in trajectory. Similarly, a lighter asteroid reflects solar rays, retains more of its icy mass, and undergoes a change in trajectory. Either way, we’d be saved. And as far-fetched as it sounds, it’s actually feasible since paintballs are much cheaper than orbital lasers or nukes. Also, since asteroids trace such gigantic orbits across the sky, we only need to induce a small change. Over millions and millions of miles, even the tiniest shift can dissuade an asteroid from its terrestrial bull’s-eye. Ants in Space is not the long-awaited sequel to Snakes on a Plane. An established ISS fixture and phonetic mouthful, the Commercial Generic Bioprocessing Apparatus Science Insert (CSI-06 program), or cosmic ant colony, will help scientists develop more efficient algorithms to revolutionize robotics and AI industries. The great thing about ants is that there is no real central intelligence. There are no big boss ants to relegate tasks to blue-collar individuals. Instead, it’s more of a collective intelligence. The ants cooperate to make sense of their surroundings and then work tirelessly to achieve a goal, be it foraging, fighting, or anything else. By making on-the-go measurements with their antennae and communicating them down the line, the US-native pavement ants used in the study can achieve ultimate efficiency, especially when it comes to searching out and exploring new locales. And it’s just possible that these ant-derived exploratory algorithms could boost our own capabilities. This bad boy is also drive-by-wire, meaning the steering, pedals, motors, and transmission are unconnected and instead coordinate electronically. Aesthetically, it eschews the golf cart motif of traditional rovers in favor of a progressive, dune buggy flavor. And with its 100-kilometer (62 mi) range and a blistering top speed of 64 kilometers per hour (40 mph), it backs up its bold new styling with unequaled performance. It also handles like a shopping cart, but we mean that in the best way, because it owes its unprecedented mobility to a rotating set of wheels. This novel “e-corner” system allows astronauts or car thieves to perform all sorts of ridiculous maneuvers, including zero-degree turns and sideways driving. The future first human on Mars is alive right now, probably doing astronaut stuff, and this fact offers perspective on just how close we are to man’s greatest achievement (so far). But before history’s most jet-lagged astronauts ever maraud the Martian surface, we’ll have to scope out a chill place to land and start Earth 2.0. The Spirit, Opportunity, and Curiosity Mars rovers are working their wheels down to bloody nubs, bless their hearts, but have only covered a combined 56.55 kilometers (35.14 mi). To evaluate large swathes of land from inside Mars’s atmosphere, orbit scientists have proposed the Aerial Regional-scale Environmental Survey of Mars (ARES). The autonomously powered airplane would be deployed above the Martian surface as a smaller, jumbled package within a protective aeroshell. After ditching its parachute and heat shield, the aircraft unfolds itself in midair and begins its scouting mission without ever touching red soil. With fat wings for gripping the rarified Martian air and broad blue stripes for looking fresh, ARES might as well be a Kinder Egg prize. Luckily, you can have the next best thing because the awesome folks at NASA have created a printable paper ARES for your own civilian amusement. Cosmic impacts occur at such mind-boggling speeds that even the tiniest objects can punch gaping holes into the sturdiest of spacecraft. Similarly, materials damaged aboard the space station, possibly by astronaut-related acts of clumsiness, are a headache to fix and a monetary waste, as it costs a small fortune to boot cargo into orbit. But hopefully not for long, as NASA has developed a self-healing material that can rejuvenate itself within two seconds of being damaged. NASA achieves this by double-stacking layers of polymer around a magical, gelatinous goop full of a Wolverine-inspired substance called tributylborane. Think of the whole get-up like an Oreo: When a projectile penetrates one or both of the cookie shells, a malleable jelly held within combines with air and instantly solidifies. This self-healing material is mostly a proof-of-concept at this point, but any solution that involves minimal inconvenience and safeguards against violent depressurization is one that will undoubtedly be considered for the next generation of spacecraft. 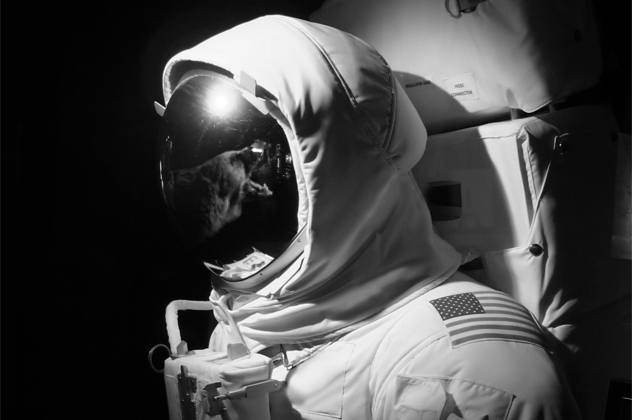 To prevent astronauts from getting cabin fever millions of miles from home, the most convenient solution to prolonged space travel is hibernation. Just like the movies, astronauts would conk out for months or years only to awaken at their destination as fresh as they were when they started out. But there’s a problem with human hibernation. Okay, there are a lot of problems, but scientists hope to solve a major one by borrowing a bit of bear-based biology. Humans have a constant calcium flux between bone and blood, which is typically beneficial, because it means fresh bones for you. But long periods of inactivity allow blood calcium concentrations to reach dangerous levels, leaving the skeletal system depleted, fragile, and weak. Bears somehow bypass the brittle bone problem, so biologists enlisted the help of 13 female bears by kidnapping them during hibernation. Through bear-blood analysis, it was ascertained that the dozing animals suppress bone remodeling and resorption through an interplay of hormones and enzymes. If these equivalent enzymes can be manipulated in humans, physiology will no longer be the limiting factor for extended cosmic road trips. Hot off their conquest of comet Churyumov-Gerasimenko and powered by a multibillion-dollar bankroll, the newest scientific ambition of the European Space Agency (ESA) is the establishment of a lunar village. Our satellite’s atmospheric deficiencies allow a perfect view into deep space, and such a settlement provides the perfect platform for our next-generation telescopes, now that Hubble is approaching senility. It sounds like a far-off pipe dream, but the ESA plans to launch its first lunar recon vehicle in 2018. This mechanical pilgrim would scope out the Moon’s south pole and vicariously call European dibs on any primo terrain. Assuming that the ESA could work out a viable Moon shuttle system and avoid bankruptcy over the next decade, the first construction crews could alight on the lunar surface as early as 2024. But don’t get too excited about being the first human colonist on the Moon. The first crew will be entirely robotic. A team of bulldozers equipped with 3-d printers would take care of building the actual base, which would be protected and insulated beneath a dome. With full scientific capabilities and a permanent zip code, a future lunar base could even replace the International Space Station for space-based experimentation.